CleanWell natural hand sanitizer kills harmful germs with a patented formulation of thyme oil. 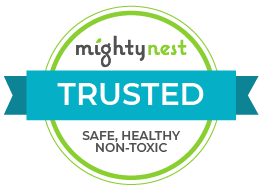 Alcohol-free, no hard or toxic chemicals and safe for kids. CleanWell hand sanitizing wipes are made with a patented formulation of essential plant oils lab proven to kill 99.99% of the harmful germs that can make you sick. The ingredients in CleanWell are safe for kids, non-toxic, and come from rapidly renewable resources that grow abundantly worldwide. Naturally antibacterial, alcohol-free, no hard or toxic chemicals, safe for kids, easy-to-use wipes, leaves hands and skin soft, gentle on sensitive skin, never tested on animals, fresh pleasant scent. The 100% biodegradable wipes make saying goodbye to germs and dirt as easy as 1, 2, 3. Open the canister, remove wipe and rub over hands ( or anywhere else that could really use a wipe) Handy for keeping in the car or stroller for times when a sink is not available for handwashing. CleanWell got its start because of a boy, Conor, born with an immune system disorder. His father, Sam, started investigating natural alternatives to toxic disinfecting agents found in everyday cleaning products. Their scientific background and determined spirits led to a collaboration with scientists at a leading environmental microbiology laboratory. Working together for either years, they developed and patented a unique formulation of natural essential plant oils that kills 99.99% of germs yet includes no toxic chemicals.